My son Ben and his bride Jackie were smart enough to hire a fantastic band for their wedding earlier this month….The Winn Brothers Band. I am a musician and a composer, and am in fact from a whole family of musicians with a longstanding reputation in the musical world. (By the way I am not related in any way to The Winn Brothers.) In case you are a young couple trying to figure which group to hire for your wedding but don’t trust your own judgment; let me make it easy for you. These guys are really great!!! They are excellent musicians who play many styles of music extremely well. I don’t think I have ever heard a more versatile band at a wedding. They played a quieter jazz-oriented set for dinner and it sounded like the “real deal” NOT like a group of funk guys trying to sounds like jazz musicians. BUT when they wanted to sound like a Classic Rock band or any other kind of genre in popular music they could switch gears and do the music justice. The newlyweds and their “6 years out of college” friends loved the group and by the third set were dancing their fannies off. Older folks in the crowd could tell these guys were serious musicians and everyone left the wedding reception feeling uplifted by the music. 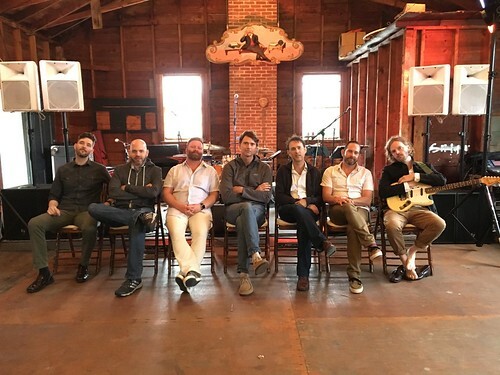 It helps that they are a really nice group of musicians who still love what they do …. not grizzled old pros. These are young pros who enjoy making everyone happy with their wonderful music. I recommend them highly. you all again at some point and looking forward to the next time we run into each other. Thanks for the wedding and all the other events we’ve had the chance to work on over the years. Just wanted to say thank you again for the incredible experience you facilitated last weekend! Lauren and I have so many memories of the evening and have gotten such great feedback but the overarching/prevailing sentiment from everyone is how good a job the band did! Y’all seriously knocked it out of the park and we will always remember how special you helped make the evening and how much fun everyone had because of you! Molly and I could not be more thankful for everything you and the band did during the reception. Your performance was everyone’s favorite part. I know I’m biased, but I think it was the most fun wedding I’ve ever been to! I think we can attribute about 99% of that to you and the band! I’m glad you all made it safely home from Nantucket. Your incredible performance is all we’ve been able to talk about since Saturday night. Sophie and I are so happy that the music kept young and old alike dancing all night. Thank you, the band, and Pete for putting on an amazing show. We couldn’t have dreamed it up any better. I have to say that walking into the boathouse and dancing with Sophie to the Elvis intro music was one of the most thrilling moments of my life. Dancing the rest of the night with our family and friends was pure joy. We are beyond grateful for these memories, which we will cherish forever. Thank you so much for being such an integral part of our day. Every. Single. Song. was played so well. You guys did a tremendous job. Music is my thing–I play the piano, I’m on the board of a music school, and I love music of all kinds. So you can imagine my trepidation about hiring a band I had never heard to play at my daughter’s wedding. 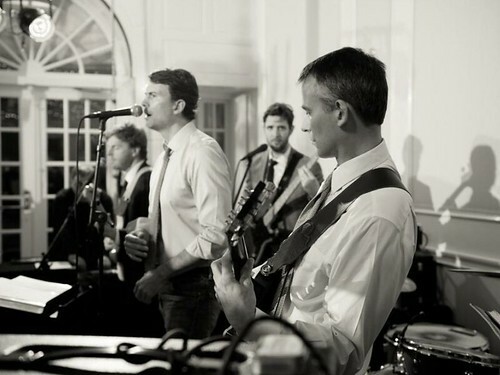 Andy and I always say that the band is the most important element of a successful wedding. And yet. Teddy said to trust him on this decision, so we did. Boy was he right. You guys were phenomenal! “Under Pressure” was perhaps the highlight. Your Freddy Mercury was unbelievable. I loved all the music you played during dinner, and the dance floor was never empty. Thank you , thank you for making the party so much fun. Hopefully you are rested up from the weekend in Brooklyn! I just wanted to say thank you again for such an amazing performance at our wedding! Literally every single person I have talked to has said how amazing you guys were!! It was also so meaningful to have one of Morgan’s Richmond friends be part of our big day. Overall, everything was perfect! You set the perfect mood/tone for the night and the playlist was on point!! We cannot say enough good things about The Winn Brothers Band. These are truly professional musicians – these guys can really play. They blew everyone away at the event with the quality of their music and the selection. The jazz trio was phenomenal to start, and once the party started they did an awesome job of playing the hits and keeping people on the dance floor – for three straight hours! Their covers are of crowd pleasers from the past fifty years and songs everyone knows, so it was super fun. Working with Gordon was a real pleasure – he was patient and accommodating even with our last minute requests. We give our highest recommendation – hire these guys, you will not be disappointed. We’re slowly recovering so apologies for the delay. WOW, what a special weekend! You and your band absolutely killed it Saturday night. I mean every single person there wanted you guys to play until the sun came up. Sunday at brunch, our friends were walking in limping because they had not danced like that in a long time. People were calling it the “Thrilla at Gasparilla”. The dancing and fun that we had far exceeded our expectations. I just wanted to drop you a quick note to say thank you. Dave and I had such a wonderful time at our wedding and we absolutely enjoyed the dance floor because of you and your phenomenal band. Without a doubt, I can honestly say everyone had a wonderful evening and truly enjoyed the energy from the Winn Brothers Band. We had such a wonderful time at the wedding, and most of that was dancing with you and your band! We know it was a long night of playing, but we really appreciate the energy you put into making our evening so special. People are still talking about what a great job you all did! I saw almost everyone dancing, including people that don’t usually dance, which is always a treat. Your version of La Vie en Rose was amazing, as was Mr. Brightside, Party in the U.S.A. Shout and Benny and the Jets, to name a few of our favorites. And to top it all off, Will’s “singing with the band” memory ended the night on a high note. You were an absolute pleasure to work with, and we hope to work with you again in the future! 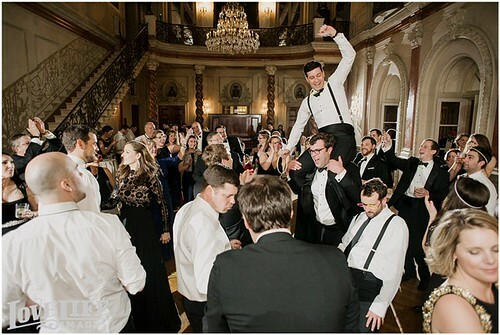 On Dec 12th you guys played at Dover Hall at my son’s wedding. I changed (kinda last minute) the mother/son dance song to Simple Man. Boy oh boy, you guys killed it. It still makes me tear up just thinking about it. Matter of fact you killed every song. You guys are simply magnificent. My friends and family are still talking about “the awesome band”. The last song you played, Hey Jude….unbelievable. I could go on and on but really guys, you are the best. Thank you so very much for being a big part of making this special day even more special. Kim and I just wanted to thank you again for an amazing evening. The music was fantastic and we’ve gotten so many compliments from our guests. You guys absolutely made our reception. Thanks so much, and I hope we’ll get to see you guys at another event sometime! 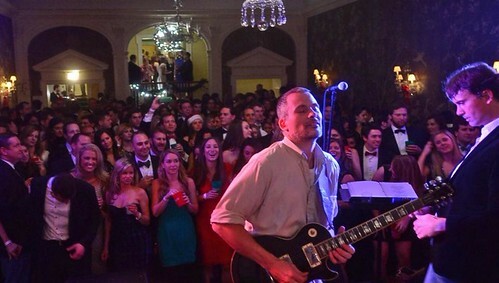 We wanted to thank you for playing at our wedding and making it such a memorable night! Everyone is still talking about how wonderful you all were, and we couldn’t agree more! Thanks again for making this special night the absolute best! I just want to reach out to give you and the rest of the band a HUGE thank you!!! You guys rocked our wedding and made the life of the party WAY stronger. Of course I’ve had the pleasure of seeing you guys perform many times, but I was still blown away. That mashup of Ice Ice Baby & Under Pressure — phenomenal. We’ve received countless compliments about you guys and the wedding in general, and I know those general ones are largely contributed to the band! It truly would not have been half as successful without you guys. We have never danced that much at a wedding before, hands down. 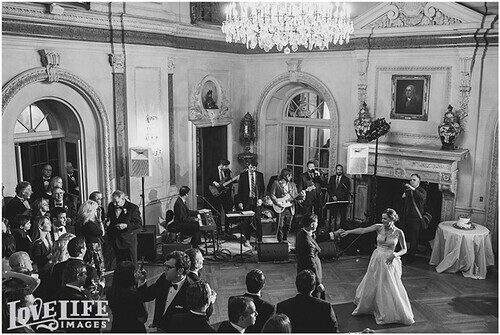 We’re still on a high from the wedding last weekend, largely thanks to the amazing performance of you and your band. We were in awe the entire night, and I clearly remember the moment in the night when I forgot I was at our wedding and felt like I was attending the best concert ever. Thank you a million times over – and I hope we get the chance to see and hear you again soon! Please pass along our sincere thanks to the rest of the band. I just wanted to send you a quick email before we leave for our honeymoon. Thank you SO much for playing at our wedding! You all were incredible and it was more than we were hoping for! Rave reviews from everyone, as expected. John and I were saying we wish we had more unmarried friends b/c y’all would get a lot more future business- Ha! With a few months (and holidays) past, I just wanted to reach out to you and thank you again for playing at our wedding in October. I think you heard this a couple of times through the night, but it bears repeating… From the moment Amy and I got engaged, she knew only one thing about our wedding: that she wanted The Winn Brothers to be our band. I can easily say that it was the best decision we made, and we were lucky to have you, Colin, and the rest of the band be a part of our celebration. 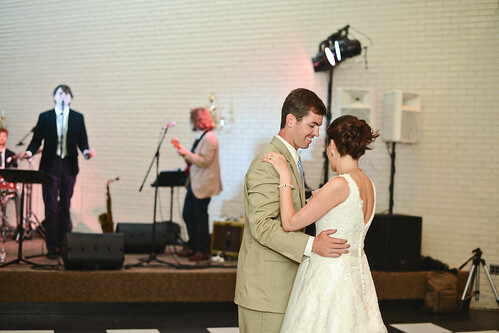 “Best band EVER!” That’s what everyone – truthfully everyone – exclaimed at our wedding reception. And the accolades for the Winn Brothers are repeated in every conversation about the event. On a night when the planets were all aligned, the Winn Brothers were the stars. The wedding was thoughtfully planned, no detail overlooked, and all was perfect. Happily, the plans began with engaging the Winn Brothers. From the start, we knew the key ingredient to the ultimate celebration is the band. So we lined up the best. And they delivered. The Winn Brothers emptied every chair and filled the dance floor. Guests could not resist the urge to swing and sing. The old and young, the hipsters and the hip replacements, all joined the fun. Words cannot describe the vibe, the energy, the sheer joy of the party. This event will be replayed over and again in the memories of all who attended. And what we’ll all remember most is the band. If the Rock and Roll Hall of Fame ever creates a category for event bands, the Winn Brothers will be in the first class inducted. We still marvel at the fact that they played our event. Indeed, they made our event. You ROCKED ON MAY 10 and everyone is STILL talking about it. I’m sure you hear that all the time, but you really do IMPRESS. I wanted to thank you all for putting your heart and soul into the music and making our wedding absolutely spectacular. I recommend your band to everyone- I even heard a few people say they liked your versions of the songs better than the “actual, original artists!!!! !” I could go on and on, but I won’t. I’m sure you have many more weddings this summer, but I want you all to know how much we appreciated your energy and talent on May 10. Thanks so much for making our wedding such an unforgettable & fun night. We have heard endless feedback from guests about how great you guys were, & hardly any members of the bridal party had any voices left at our brunch on Sunday. :) We can’t thank you enough & hope you had some fun too! Chris and I just got back from our honeymoon last night, and I wanted to take a minute just to send you a quick thank you: y’all were AMAZING! We received so many compliments on the music, you really made the night for us, and gave us so many wonderful memories. What a great time we had with the Winn Brothers!! The band kept the dance floor packed the entire time and we did not want the party to end. The variety of music they played was great and they read the crowd so well to keep the energy going. They played a special song we requested for our first dance and were so easy going and accommodating. We had people requesting their information all night long and in the weeks after the wedding. Absolutely spectacular! Thank you guys so much for making the trip down to NC and playing our wedding. It was a really incredible night, and you guys were perfect all the way through. From the three special songs at the front end, all the way through “You Can’t Always Get What You Want,” everything was spot on and played perfectly. I couldn’t have imagined a more fun last set, and having all of our guests – from 12 year-olds to 60 year-olds – out there on the dance floor was something else. Jessica and I were thrilled with how everything went, and we were sorry it had to end! Thank you so much for everything you did to make our wedding perfect! Guests started dancing before the servers had even finished serving the first course, and never stopped. It was amazing! By the time the entrée was finished, most of our female guests were barefoot and the men had stripped off their coats. They were hot and sweaty from dancing, but that didn’t get them off the floor. We didn’t stop dancing either, and didn’t manage to eat much, but spent most of our time dancing. It was wonderful and we are so grateful. Thank you too for the incredible job you did with our odd choice of first dance, you crushed it! Thanks also for working with our best man for his DJ set and for taking a stab at a random request from my father. You were the first decision we made, sight-unseen, when we started planning our wedding, and that was one of the best leaps of faith we made regarding that day! Thank you and best wishes!!! Your music was PERFECT! It made our party! Your warmth, great voice and obvious drive to be involved meant so much to all of our family. What a gift to give! I want to thank you and your band for such a wonderful evening at the Barn on May 26. It was an absolute blast! Many guests commented to me that they thought they were at a personal concert, and not just because of the numbers that Jenny sang. It was truly a memorable event for all in attendance and one that Jenny and Mike will never forget, I’m sure. I wrote a blurb for the testimonials before reading all that had been written and realized I would sound like a broken record but will say some of it again anyway–having The Winn Brothers Band for our daughter’s wedding was like striking gold. From the highly critical music lovers to the grandmas in the group, all we heard was we had the best band with the best playlist. 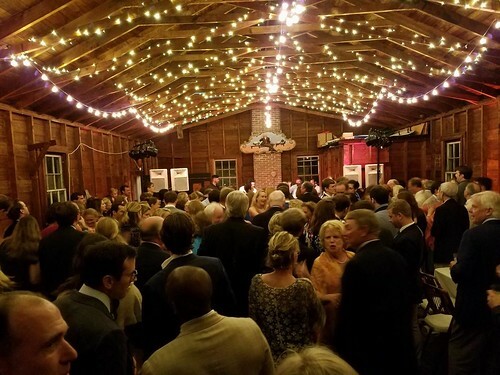 (we had ordered a larger dance floor than usually provided at our venue and even that was not big enough for all the people who were dancing). I could go on and on but I am sure you get the drift–THEY ARE AMAZING! You guys were great on Sunday! Thank you for making the trek up to NYC and bringing such vibrant energy to our wedding. Our wedding guests had a great time dancing to your music and just admiring the stellar show you put on. You guys are a rare band, and it was a pleasure to have you play for us. Thank you! You guys absolutely killed it, and made the night. The energy was through the roof and everyone had an incredible time (as you could tell…). Everyone from the youngest to the oldest guests were out on the floor enjoying themselves all night. It was really just perfect. At the end of the night my mom came up to me and said that the way you guys played Van Morrison and the Allman Brothers made her feel like she was a kid again. I remember seeing you guys a few years ago and thinking, if I get married and the Winn Brothers are still playing, they are playing my wedding. We literally set the date around your availability, and it was the best decision we made. seamless performance and brought an energy to the crowd which I have to describe as “love and happiness”. Thank-you so much! I would recommend you guys to anyone who loves music…. I just wanted to take a minute to thank you for an INCREDIBLE performance at our reception the other week. We had an absolute blast and our friends and family can’t stop talking about how great of a band you all are. As you may remember, that day was a tad hectic, but I felt at ease knowing that you all had our back and were going to make it work one way or another. It also made me really happy to look up during the reception and see that you all seemed to be having a good time yourselves too! You really brightened up the atmosphere. We cannot thank you enough. You will be getting strong recommendations from us and we hope to attend a wedding or event featuring the Winn Bros. Band in the future! perfect night of music. All the best. Probably the best wedding-related decision I made was selecting The Winn Brothers as our band. 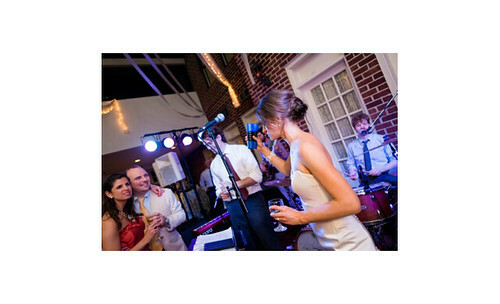 They aren’t your typical cheesey “wedding band” and made our reception so much fun! 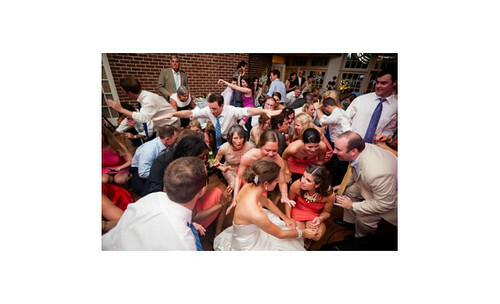 Some of my favorite wedding moments were seeing all of our guests (many of whom had never even met each other before) on the dance floor just having a blast together. The band also invited me and a few of my friends to join them for Party in the USA, which was very fun! Their music variety is great, plus they learn three songs of your choice. Gordon Winn was also very responsive to all of my emails and offered me some great suggestions when I needed them. 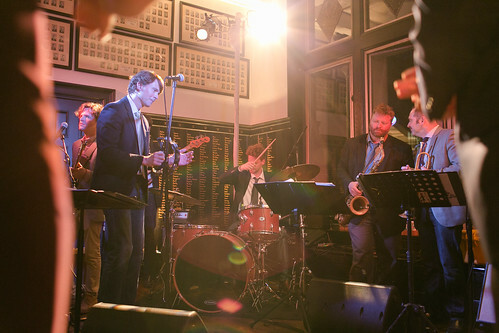 If you’re looking to hire a live band for your wedding (and you definitely should! ), you should contact The Winn Brothers ASAP!!! Words will never adequately describe how amazing the Winn Brothers made my wedding. I realize many people think their wedding was awesome but seriously, my wedding was really, really awesome BECAUSE of the music. People could not stop talking about them for months afterward. I believe the best quote I heard in reference to the night was, “That was not a wedding. That was a concert in fancy clothes.” If you don’t hire this band to perform at your wedding, you’re going to miss out. That’s all there is to it. Long live the Winn Brothers! They made my wedding the best night of my entire life. Not kidding at all. Having gotten to know Gordon over the years and enjoyed the occasion live show around town, we made the decision to book the Winn Brothers Band for our wedding. Incidentally they were playing a friend’s wedding on Long Beach Island two months later, giving us a window into what we could expect for our own nuptials. In keeping with the Garden State location, the Winns put on a masterful performance with particular attention to the Springsteen catalog, and kept the crowd dancing all night. When it came time to work on our own reception, we articulated our musical preferences and vision for the evening and left the ultimate selections to the Winns’ discretion, with the exception of two specific requests. As it happened, the band had never played the respective tracks we were most keen on hearing, but they promised to give each a shot. Given the brief time frame and relative complexity of at least one of the tunes (Rosalita by The Boss and Naïve Melody by Talking Heads), this was a fairly tall task. Flash forward to our big day, and the Winn Brothers (6 piece) put on an incredible show, providing a pitch perfect soundtrack to an epic celebration. They demonstrated remarkable range, moving seamlessly from Motown and standards into classic rock, from the aforementioned Bruce into the 80s and beyond. Their impeccable precision, musical chops, and manifest professionalism truly elevate them above your typical wedding band. Perhaps most importantly they indeed learned our favorite songs and proceeded to nail them note for note. Our friends and family rave about that night (and the Winns in particular) to this day, and we have personally referred dozens of couples, hopefully earning the guys a few well-deserved gigs in the process. Without a doubt this band made our wedding what it was, and we can’t imagine having done it with anyone else. On behalf of both of us, Thank You and your fellow musicians for putting on one heck of a show. Your ability to read the crowd and keep the party rocking is without equal. I think a lot of people needed Advil at the end of the night just to get their shoes off from dancing so much. The best band ever! Period! I’ve never had a better time in my life and as you can tell from my behavior, I’ve had some good times. Caravan was such a crowd pleaser and I have never heard it been covered any better. You need to do more of the Big Celtic’s stuff, you have the instinct for what he does and you do it w/ David Byrne looks and mannerisms. Fat Bottomed Girls brought down the house. An audience feeds off the band and the band feeds off the audience. Youboth had it going on. I most enjoyed meeting you prior to the ceremony and talking about The Winn Brothers. The music that you guys make cause me to consider being a “wedding crasher” for reasons other than Owen Wilson’s and Vince Vaughn’s. It was a thrill for me to be up there with you no matter how absurd it was to the other members of the band. I hated to insult your and their professionalism by crashing the stage but it was a lot of fun for this old man. Best of luck to you and the band. We booked the Winn Brothers Band to play at our wedding reception in July after seeing them several times in DC. Selecting the Winn Brothers was one of the first decisions we made in the planning process, and we couldn’t have been happier with our choice. All the guests were blown away by the band and had high praise for them and the reception. The playlist was perfect for our event, and we had family and friends of all ages on the dance floor all evening! Throughout the planning process, the Winn Brothers went out of their way to make our wedding as special as possible for us. They were responsive, professional, and easygoing; from our initial inquiry to the final adjustments to our reception schedule, they were willing to work with us to meet our needs. They were happy to learn one of our favorite songs and to honor special requests. In short, they made planning much of our reception really easy! Having seen the group before, we knew the music would be great, but the Winn Brothers surpassed our expectations! We can’t stop talking about how much fun we all had. Booking the Winn Brothers Band for our wedding was one of the best decision we made in the entire wedding planning process! Our wedding was over a month ago and our friends & family are still talking about how great the band was! The Winn Brothers Band was so easy to work with during the planning process – they are so nice, professional, and accommodating. They helped us pick songs out for the big dances, and even learned a few for us! They were of course on time, and even stayed late… when the crowd started chanting “one more song!” They truly played something for everyone, and everyone loved every song they played! A highlight of my wedding is when my twin sister and I accompanied Gordon and the guys for “Party in the USA”. Yes – we got up there and sang with them (and we can’t even sing)… that’s how fun they are. All of our guests danced the night away, it was the most fun we’ve ever had together. It was so amazing to have my friends and family out on the dance floor together, all night. 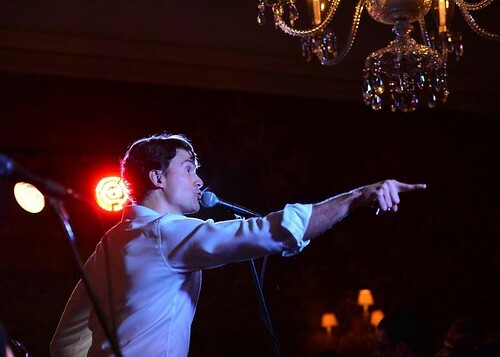 The night ended with “Shout” – another highlight of the night! The Winn Brothers are the perfect band – talented, fun, and professional. We simply could not have asked for anything else! The Winn Brothers Band put on an incredible performance to make our wedding reception a very special night. My one main job was to secure the band to perform at our wedding, and the Winn Brothers made me look really good. They played music that everyone loved, and they kept the dance floor hopping. Many of my friends and family have been asking how to get in touch with them for future bookings. Not only were they a fantastic band, they could not have been nicer, more accommodating, or easier to work with. Great band, great guys – I hope I’ll hear them again soon. I just wanted to let you know how much we appreciated your help in making the BIG GIG 2011 on Saturday night such a success. The Winn Brothers were an amazing hit and everyone had a great time dancing and singing right along with you! Your professionalism, punctuality, and willingness to stay on after the “one more song” chants made for a VERY positive experience for us and all of our (over 400!) attendees. You were a perfect end to a flawless night that many will remember for a long time to come. Please extend our thanks to every one of your talented band members and an extra special thank you to John D’earth for stopping by late night. You guys were great – you made all of our very generous guests happy after giving to the children of the Boys & Girls Clubs of Central Virginia. 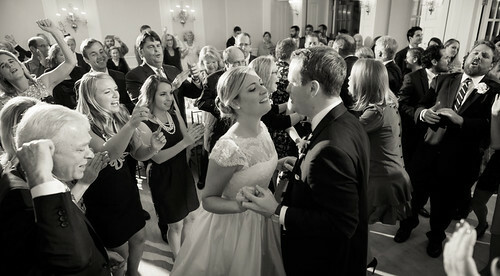 After hearing the Winn Brothers play several times around DC, I knew they were the perfect band for our wedding. 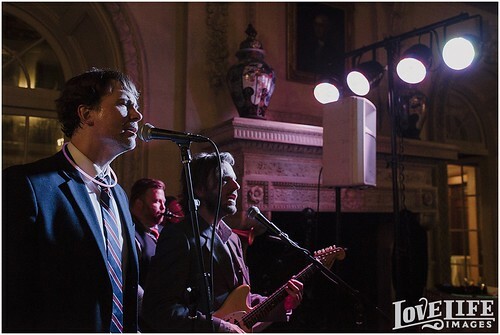 Booking the Winn Brothers Band was one of the first decisions I made in the wedding planning process and it was definitely the best – their energy, musical skill and playlist made the party. I was married in August in Villanova, PA (outside of Philly). Almost six months later, our wedding guests are still commenting about how fantastic the whole wedding was, and I can easily attribute much of that to the Winn Brothers. People were on their feet dancing for the entire reception, even through dinner. 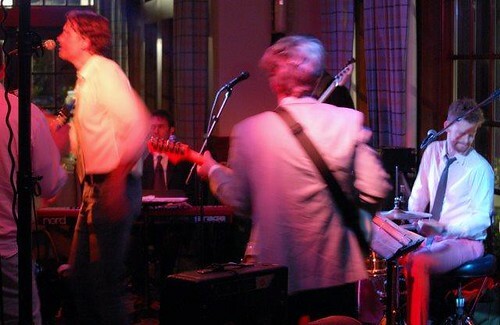 The Band was flexible and accommodating throughout the planning process and working with Gordon was a breeze. I very much like that they do not use a third party manager and their pricing seemed very reasonable compared to other bands in the Philly area. We went with the seven-piece band option (added a sax and trumpet to their normal set). We also elected to have the Winn Brothers play our cocktail hour, which consisted of a trio playing soft jazz. Our first dance was “Waiting on a Sunny Day” by Bruce Springsteen, a song that the band did not have on their list. They were not only happy to learn a new song, but also happy to allow my uncle to step in and do the lead vocals on that song. Other than the first dance and the other traditional dance songs (entrance, mother-son, father-daughter) I gave very little guidance on the playlist for the night. Our guests ranged widely in age and taste, yet every song the Band chose to play was perfect and brought the generations together. It’s tough to describe in words how much fun the reception was, but as the bride it made me so incredibly happy to see that every single person at the wedding was having an absolute blast. My 80-year-old grandmother (who I have never seen dance) danced like crazy just about the whole night, as did nearly every guest. In fact, we’re still getting compliments from guests about how awesome the band was and how much fun they had at our wedding. Overall, The Winn Brother’s Band made the reception a celebration that my husband and I, along with all 200 of our wedding guests, will never forget. Their enthusiasm made every song fun and their professional but easygoing nature made planning worry-free. I wholeheartedly recommend the Winn Brothers Band to make any event perfect. the party we received numerous comments that you were as good or better than any wedding band our guests had ever encountered. professionalism. Simply put, we couldn’t be happier. The Winn Brothers’ Band performance at Kristen’s and Jason’s wedding was superb. Thank you and each of the Band members. I was dancing the first number with the Bride; we were making our first dance move when suddenly the dance floor was full of happy dancers. The dance floor stayed full of happy dancers for the entire evening – into the early morning. The Bride, Groom and most of their friends are right around the thirty year point. They loved the selections. They were joined in their enthusiasm for your music by their parents and Grand Parents! 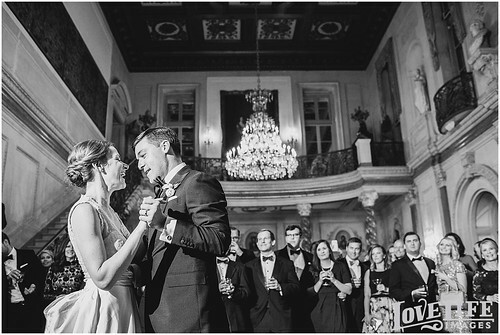 You made that entire reception crowd feel that “this number was played for us, lets dance.” …and dance they did. Gordon, you and your fellow band members are phenomenal musicians. We were equally impressed with your straight-forward, no nonsense approach to the business portion of our relationship. You were fair, professional and an absolute pleasure with whom to do business. Thank you, thank you, thank you! We look forward to the opportunity to hear you play again … maybe we’ll just hire you again for our next big party! Music is very important to me and my wife. About a year ago we began looking for a wedding band. We were looking for a dynamic group of young musicians, who wouldn’t feel (or look) like a wedding band. In a way, we had our fingers crossed that our wedding would turn into the greatest concert we’d ever seen. That’s when we discovered the Winn Brothers Band. I had been an Agents fan back in the day (still am) and read that some former members were still performing, with a new group of extremely talented musicians. Without any samples of music to hear, or any personal contacts to vouch, my new wife and I couldn’t escape the undeniable feeling we had found our band. We decided to follow our gut. Enter October 2nd. After a long time of waiting the day had finally arrived. The guys came all the way up to Montauk, NY for our wedding, and indeed did play the best concert we’ve ever been to. We had various friends sit in with the band and every song was memorable. The group played with passion, they had fun, they rocked hard, and soft, and they nailed the few songs that we asked them to and everyone danced the entire night. It was a good thing we didn’t put too much thought into our food, because there was barely any time to eat we we’re having so much fun dancing. All in all, the Winn Brothers Band were the best band I have ever seen perform at a wedding, and they helped make our wedding the greatest concert of our lives. Like many other testimonials, our guests young and old, were blown away by their chops, charisma, and graciousness. The dance floor was constantly filled with our guests, and we’re already talking about inventing a new event so we have a reason to see them again. It was a bit of a leap of faith to sign a contract with a group of guys we had never really heard play together, but it was well, well, worth it. Individually, and as a group they were phenomenal. My wife Meighan and I completely trusted the Winn Brothers Band to deliver, and they surpassed our extremely high hopes and expectations. What can I say, you guys did it again. Completely rocked the house! So many compliments for you all, its hard to mentally organize them. I just wanted to write you to say thanks for helping take a pretty darn good event to a whole different level. The music selection, the energy, the talent you all shared with Fair Chance really made the night. I know you all get what we’re trying to do for the children and youth of DC. We’re not going to be able to accomplish it without a room full of engaged, inspired champions. The Butterfly Bash is that important to the mission of Fair Chance itself. So when it goes well, like on Friday, its a huge boast for us. Thanks to the whole band (and please forward this along to them) for helping create an incredible evening. I wanted to extend a huge Thank you for the amazing performance The Winn Brothers displayed at my wedding June 5th. I have lost track of how many people have said to me “The band at your wedding was awesome”, “Your wedding was so much fun, WOW, that Band was really good”. It’s been 2 months and friends are still talking about it. People have asked me how young you all are, “they must be in their 20’s” “they are so handsome”. I think people are the most shocked to find that I did not create or discuss a play list with you, that i basically said.. “Play what you feel will keep the party going”. You all did just that. You all made the wedding so much fun. Every new song gave the reaction “Another good song, I love this song!!!”. You are a very talented group of musicians and I cant wait to see you perform again soon. We were absolutely ecstatic to book the Winn Brothers for our wedding. From the moment we started working with the band, they were so flexible and accommodating. About a month before the wedding, we met with Gordon for lunch to go over the day, music, etc. and we knew that we were in good hands. Whereas other bands were limited to a single genre of music or selection of songs, the Winn Brothers offered an extensive list of songs that spanned multiple genres, styles, etc. We had our wedding in a garden and the music just floated over the crowd. They played the perfect selection and everyone loved them. 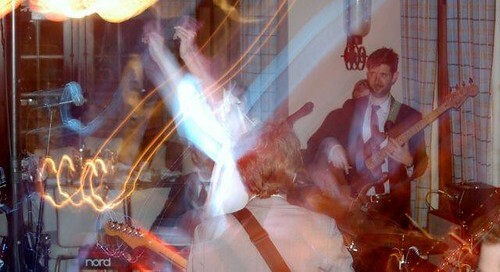 So many people commented during and after the wedding that it was the best band they had ever seen. 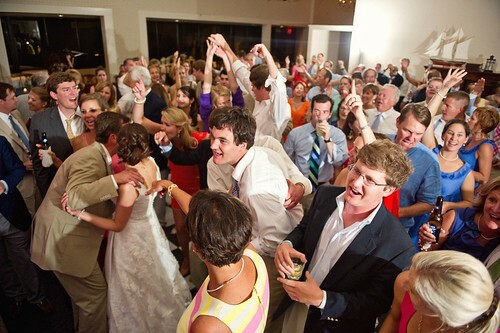 Our wedding was in late June and despite the heat, the band played on and had everyone up and dancing. I only hope that we have another occasion to hire the Winn Brothers again soon. Matt and I want to thank you and the Band for an absolutely amazing night on the 19th. We had such a ball! In fact, I think the general consensus of those in attendance was pretty close to: best band ever! It was really great to have so many people on the dance floor for so much of the night. And you were totally worth being perhaps the world’s sweatiest bride for a significant portion of the evening! You all really made the night, and we can’t thanks you enough. The Winn Brothers Band played at our wedding over Memorial Day weekend, and the guests haven’t stopped talking about their performance. They brought down the house! The dance floor was packed the entire night, and the crowd kept calling for encores. Andrew Winn also gave a terrific performance on classical guitar during the cocktail hour. These guys are true professionals, and the band was kind enough to learn two new songs for the wedding. We can’t recommend them highly enough. When planning a wedding, there are a lot of things to stress about not working out. But here’s a very easy decision: hire the Winn Brothers Band and your wedding will be an absolute success. Thank you for making The Washington Ballet’s 2010 Jete Society Dance Party the best one yet! Not only did you keep the dance floor packed all night, but you were so flexible and easy to work with through our changed date (postponement due to the blizzard), coordinating with the sound company, and putting together an “on-the-fly” performance with our guest artist, Tap Dancer Ryan Johnson. In planning the fundraiser, we knew that a live band (rather than a DJ) would help to set our event apart. I’d seen you play many times before (and was always impressed) but with the addition of the horns section The Winn Brothers surpassed all expectations (and they were high to begin with!). People were raving about the music the entire night and everyone, I mean EVERYONE was on the dance floor that night. Even our professional dancers, production department and guest artist were impressed! You always picked the right songs to keep the party going and the dance floor crowded. We received so much positive feedback on this year’s event, and one of the most frequent compliments we received was how much everyone loved our band! Thanks again for making it such a fun and memorable night for our guests! When Croom and I became engaged in June of this year my mother couldn’t wait for us to pick a date! We suggested we get married in January, that way our festivities wouldn’t interfere with our guest’s holiday plans. Her reply? “You can’t get married in January because there is a higher likelihood of snow!” Seven months later it’s December 18th and the weather forecast called for a major snow storm! 12-24″ of snow! The most snow since the blizzard of 1945! And for the very first time the weather forecast was actually correct! Croom and I made peace with the fact that our wedding might have as few as 1/4 of the guests we invited. Shortly thereafter it occured to us that maybe 1/4 of the scheduled entertainment and staff for the reception venue might show up…IF we were lucky! Croom and I arrived to our reception and were amazed to find people scurrying about with trays of food and champagne and, on stage, the Winn Brothers Band! ALL of them! Touchdown! The genesis of our romance was born during a fantastic performance by the Winn Brothers Band at The Rookery sometime early last fall. We danced and danced all night. We decided early on in our courtship that The Winn Brothers would play our wedding. As soon as our engagement was announced we began planning our wedding. First task…book the band! Gordon Winn inquired about our play list and the various first dance songs. The band hadn’t played either our first dance song or the father/daughter dance but Gordon assured me that it wouldn’t be a problem. And it wasn’t! 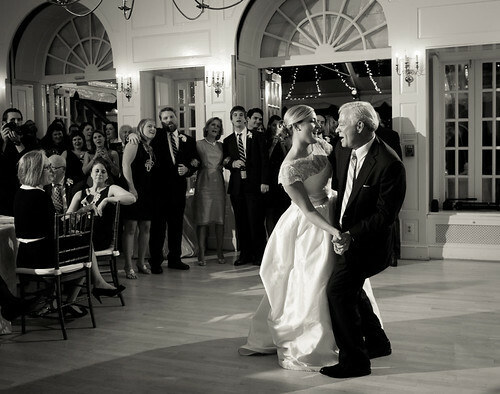 They perfected our songs (with very short notice for the father/daughter dance I might add). The band performed a perfect show. We had such a range of ages at our wedding and they ALL spent the entire time dancing the night away. The only complaint we have about our reception was that it ended. Thank you Winn Brothers! See you NYE! Simply, the Winn Brothers made our daughter’s wedding. The room, food, flowers were wonderful and beautiful, but the Winn Brothers became the energy that brought the guest generations together and created among young and old moments to remember. 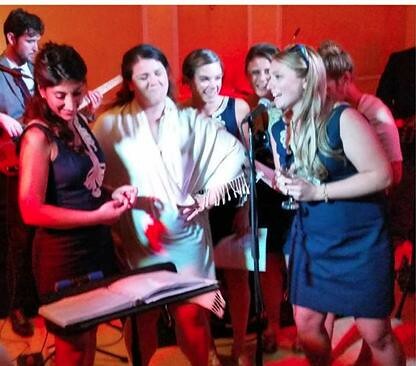 Their music even generated a mosh pit – something I’ve never seen before at a wedding. If you are planning your daughter’s wedding, don’t use another band. The Winn Brothers surpassed all expectations and made our wedding reception one of the most fun nights of our lives. They single-handedly made my parents (who I have never seen dance before in my life) unable to stop dancing together, solo, and with anyone and everyone near them. Not only did they play the best versions of “Here Comes Your Man”, “Just Like Heaven”, and “Under Pressure” I’ve ever heard (my dad can’t stop talking about the last one and proclaims that it is his new favorite song, but he has been disappointed to find that Queen’s version does not compare to The Winn Brothers’), but they also learned and preformed a version of our first dance song that was absolute perfection. From a technical standpoint, they are superb musicians who play with skill and passion. We honestly weren’t sure who was more excited: the crowd or the band. It was so amazing to see our friends of all ages, younger cousins, great-aunts, and parents out there dancing together with such reckless abandon. And it never would have happened without the Winn Brothers. In the weeks leading up to our wedding they were extremely professional, responsive, and thoughtful, and it was clear they understood the energy that we wanted, and put time and thought into the songs they chose for the evening. Every single person we spoke to raved about the energy and talent of The Winn Brothers, and we can’t imagine the night without them. Andrew and I want to thank you for the WONDERFUL music you performed for us on our special day. The guests were absolutely in love with your music and I have never seen so many people on the dance floor at any wedding before this! The dance floor was packed the whole time! You truly made our wedding that much better, when I thought it could not be any more wonderful. Honestly every single guest loved all of your songs and you had every single person out of their chair from the beginning of the night right until the end. When the party was over, the dance floor was still packed with people not knowing what to do with themselves! During the next day everyone kept talking about how good the band was! The very first thing that comes out of everyone’s mouth concerning Mark and Polly’s wedding is “THAT BAND WAS AWESOME….” You all made the night so special, memorable and fun. As the mother of the groom, I know I was supposed to be doing the perfunctory chit chat with all the guests but I could not stop dancing because you all were the best band I had ever heard and experienced. As hot as it was, you all still seemed to be having a great time jamming with each other and just really enjoying yourselves, which spilled out into the audience. The range of your voice was incredible. Andrew was fantastic – loved his playing on his knee. Robby was great on the drums. You all are tremendous musicians who obviously enjoy what you do and it shows. 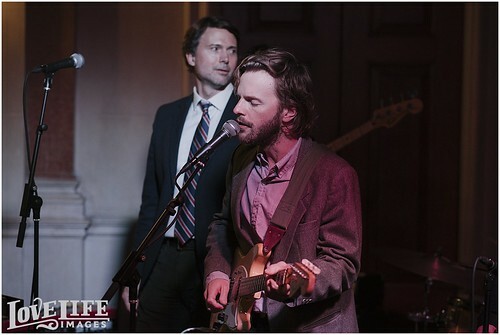 The Winn Brothers have played over 25 private parties at the City Tavern Club since 2004. I’ve always enjoyed them and their audiences love them. Their musicianship and professionalism are top notch. The range of songs they can play is fantastic. I book them every New Year’s Eve and hope to for as long as they’ll do the gig! I really don’t know how to begin to thank you for the pure gift of “joy” you gave to our families with your music talents this past Saturday at my daughter, Michelle Walsh & Tim Tetreault’s wedding at the Hay Adams in DC. We have had the sorrow of 3 funerals to attend within the past two years and your band managed to bring “life” back into our lives this past Saturday. from Mrs. Evelyn Walsh (a.k.a. mother of the bride).